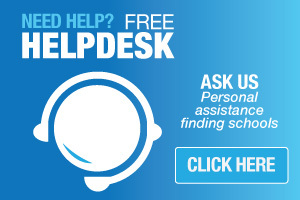 Find information on private schools throughout Sydney, NSW Australia here. This complete Sydney list contains all private and independent primary schools and secondary schools in Sydney. The term 'private school' refers to any primary or secondary school that is not administered by the State government. Private schools charge each student a fee to attend and include Catholic, Independent, non-denominational (no religious affiliation) and other religion-operated schools. 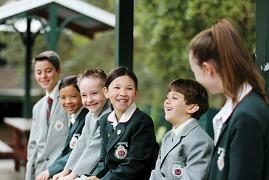 Most of the top Sydney schools are private schools and Sydney schools are some of the best in Australia. 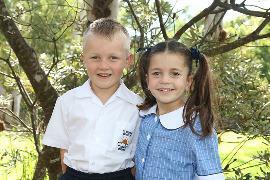 There are around 500 private schools in Sydney. 336 are Catholic schools and 29 are Anglican. Of the remaining schools, some are religion affiliated and some are not. 69 Sydney schools accept international students (CRICOS registered). 27 schools in Sydney are boarding schools which makes Sydney a popular choice for regional parents looking to send their child to a boarding school. Sydney also has over 50 schools for boys-only and over 40 schools for girls. The remaining Sydney schools are co-educational. Schools are listed below in order of most-recently updated. A co-educational school on Sydney's North Shore that raises responsible individual thinkers with a strong sense of social justice and confidence in their ability to determine their own future. A contemporary, co-educational independent school offering a wide range of opportunities through its academic, co-curricular and student well-being programs. Offering a curriculum that provides a Catholic world-view across all key learning areas, and a way of life that encompasses the values needed to contribute positively to the community. Our Mercy values of hospitality, respect, integrity, compassion and service underpin all that makes our school special. talents and the skills to create their future. Holy Family enjoys a reputation for high academic standards and a very positive, nurturing and caring environment for all students. their highest level in the context of an engaging and challenging curriculum. Our school motto, “United in Love” inspires students to be active learners who embody the values of acceptance, dignity, hope and compassion. Maria Regina Catholic Primary School is a single stream K to 6 co-educational school, located in the Broken Bay Diocese on Sydney’s northern Peninsula at Avalon Beach. Tangara works in partnership with parents to form each child’s character, educating for personal and academic excellence. We challenge our students to live a life of faith, and lead change for a more just and human society. 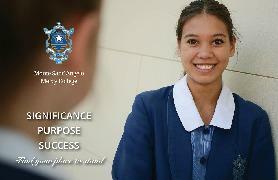 An independent Catholic secondary day school for girls in Years 7 to 12, located in the heart of North Sydney. A Catholic, independent day and boarding school for girls from Years 5-12, providing an excellent holistic education since 1897. A non-denominational day and boarding school for girls in North Sydney. A Catholic school for boys in the Jesuit tradition that has delivered quality education to both local and boarding students since 1880. St Luke's Grammar School is a leading independent Anglican co-educational school, with two campuses on Sydney's Northern Beaches. One campus is located in Dee Why (Pre-K to Year 12) and a second campus is located in Bayview (Pre-K to Year 6).